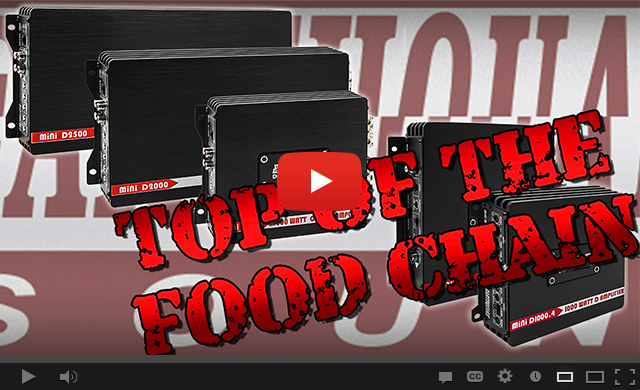 The next frontier, in the race to make the smallest and most powerful amplifiers, is Power Chips. A Power Chip is a chip like a computer processor that has all the functions of a normal discrete component output stage. 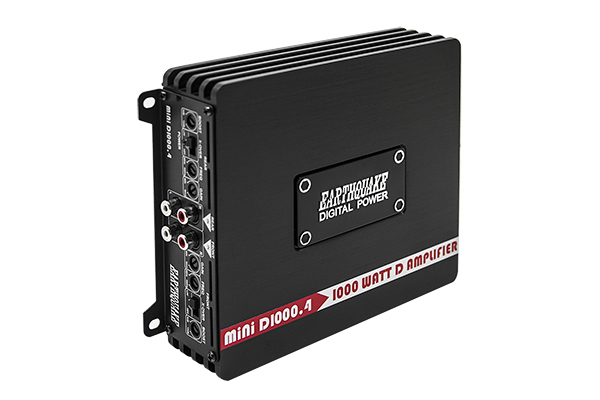 Earthquake is at the forefront of this battle with the introduction of the Hybrid Power Chip amplification technology featured in the Mini-D1000.4 amplifier. 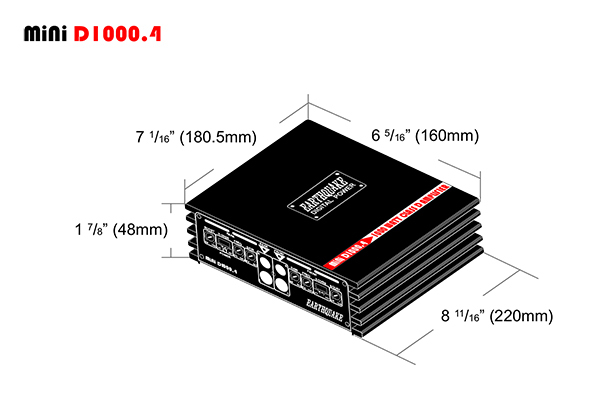 It combines the output Power Chip itself with a wideband discrete switch mode power supply connected through an intelligent communications bridge. This best of both worlds solution has Power Chip compactness and discrete transistor resiliency. VE-TAT (Velocity Enhancing Transistor Augmentative Technology ) is an enhanced transistor dead-time controller. VE-TAT is a component level technology. A critical area for efficiency is the speed and precision by which the transistors can be opened and closed. VE-TAT dramatically increases transistor velocity, thus eliminating dead-time losses and increasing efficiency. 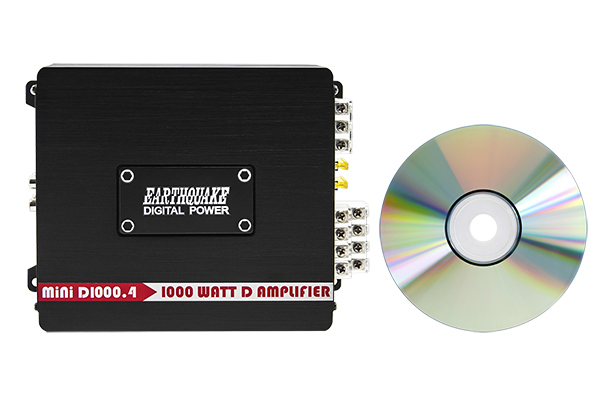 The addition of VE-TAT makes the Earthquake SR-SMPS switch mode power supply one of the most efficient on the planet today. - MARS - (Magnetically Actuated Reanimation System) is a new type of protection system that enables the use of all amplifier power resources without compromising the survivability of the amplifier under catastrophic conditions. Typical protection systems rely on fuses or relays that complicate the signal path thus degrading audio quality. MARS is different as it is not in the signal path, but works by sensing the electromagnetic field of the conducting wires. MARS does not use any relays or other damping-factor reducing mechanical switches that can wear out or fail over time. Instead, a specially designed circuit instantly shuts off the output drive. In the event a short-circuit activates the MARS protection system, it continuously re-scans the output every 10 seconds. Normal operation automatically resumes as soon as the short-circuit condition is removed.